Healthcare remains foundational, but WCG has also added a number of tech and consumer clients over the past year. WCG reported a 25% increase in US revenue and 28.6% change in global revenue in 2011 over 2010. The firm exceeded its 2011 revenue goal of $45 million by 6% and reached global revenue of $47.6 million. Organic growth was 68%, while 32% came through new business. Though many clients are confidential, account wins included Qualcomm Life, Hershey's, and SAP. In March 2012, WCG restructured and created W2O Group, a parent company that oversees WCG and two new firms, Twist and W20 Ventures. 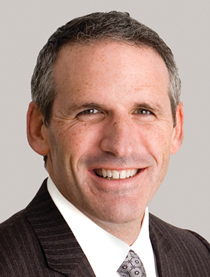 Weiss took over as chairman and CEO of W20 Group. Bob Pearson, previously chief media and tech officer at WCG, is leading W2O Group as president. Jennifer Gottlieb former bio-pharma practice leader is heading up Twist, and Paulo Simas, previously chief creative officer, is leading W2O Ventures. Twist will be analytics focused, while W2O Ventures will form partnerships based on new technologies and focus on engagement platforms, augmented reality, mobile, and local search and analytics. “This new organization benefits our clients and our people by allowing us to remain nimble, adaptable, and responsive in smaller organizations while offering the best teams and solutions across the network – all still managed under one P&L,” adds Weiss. WCG's Austin, TX, New York, and London offices experienced the most growth, due to senior hires and increased requests for analytics and social media engagement work. The firm opened a Los Angeles office in part to focus on San Diego's large biotech industry and the medical-device industry in Orange County, CA. Key hires included Gary Grates to lead the corporate and strategy group; Tim Marklein to lead the analytics and tech practice; Dave Mihalovic, MD of content strategy; and Craig Alperowitz, group director for the consumer practice. Hala Mirza, MD of healthcare, left to join Pfizer.